Each year millions of people make resolutions. Some stick, but most seem to fade away after the initial excitement wears off. Perhaps it is because the goal was unrealistic. Or, it could be because the goal was fixated on a small detail, rather than the bigger picture. Dieting is a great example of this. If you are planning on making a resolution this year that is health-related, try focusing on just that. Forget the perfect weight or measuring success by numbers on a scale. Focus on your overall health and well-being. Track Yourself: Monitor what you eat and drink and record your exercise. You can log in a journal or on a fitness tracking application. Tracking both of these can help you assess and identify behaviors you want to change, and it can help you recognize an unhealthy habit. Grab a Workout Friend: Having a workout buddy can help you be accountable and ensure you exercise. Schedule time to work out together to make it a priority. On average, children and teens should get 60 or more minutes of physical activity per day, and adults should get two and a half hours per week. Start Small and Be Specific: For example, rather than saying I will drink more water, create a specific goal regarding the amount of water you’d like to drink per day. As an added bonus make it a goal to no longer drink soda (bonus)! This play right in to the next tip. Don’t Drink Your Calories: Drink water rather than high calorie or sugary drinks. Be Positive: Do not judge yourself. It won’t be easy, but to remember you are trying to improve your eating habits, your lifestyle, and the way you feel. If it helps, remind yourself how you feel prior to an overindulgent eating/drinking event. Healthy Food: We all over indulge and overeat. Each day is a new day and an opportunity time to recharge. If you have a setback, get right back on your plan: If you happen to over indulge, get back on the right track the next day. Do not procrastinate. The quicker you are back to a routine the faster your healthy behaviors will translate into a healthy lifestyle. Focus on Fiber: Incorporate fresh fruits and vegetables into your meal plan. At each meal fill half your plate with fruits and vegetables. Do NOT Skip Meals: Skipping meals can lead to over eating at snacks or next meal. Make this the year of success! Meet your nutrition goals. Make a plan and remember you can do it. By following these recommendations, your New Year’s resolutions can be part of your healthy lifestyle. Here is to your health! Kristen Wargo-Roeder is a Registered Dietitian and Nutritionist with the Ozark Community Hospital Health System’s Integrated Care department. OCH Health System’s Integrated Care department offers healthy eating classes year round. For more information about OCH’s Integrated Care department, or any other services, visit www.ochonline.com. Be Accountable – Repeat positive thoughts and write down what you eat. The more you are accountable the more consistent you will be. Avoid Overeating – If you are attending a party or gather, eat small, lower-calorie meals during the day. Enjoy snacks that are low in calorie, but high fiber as this will curb hunger and help avoid overeating. If you are bringing a dish, make it healthy. Get Moving – Balance calories in with calories out. Physical activity can combat extra calories. After a meal, take a walk with friends and family. Serving Sizes – Using a smaller plate will encourage you to eat smaller portions. Start by filling your plate with vegetables and salads. Slow Down – It takes at least 10 minutes for your stomach to communicate to your brain that it is full. Wait at least 10 minutes before returning to the buffet table. Be mindful, eat slowly and enjoy every bite. Stay Hydrated – Always have water available and drink before you are thirsty. It is okay to have a glass of wine, but if you do, match equal number of glasses of water for every glass of alcohol or caffeinated beverage. You should drink eight glasses of water consistently throughout the day. Staying hydrated will help with digestion and is necessary for proper kidney, heart, and liver function. A glass of water can make you feel fuller at a party, helping you to eat less. By making a few conscious and consistent changes to your lifestyle you can avoid weight gain this holiday season. Plan ahead and prepare to have success! By doing both, you can have a happy and healthy holiday season. Kristen Wargo-Roeder is a Registered Dietitian and Nutritionist with the Ozark Community Hospital Health System’s Integrated Care Department. The OCH Health System Integrated Care department provides a higher level of quality care to help improve health, while lowering health care costs for patients. OCH Health System’s Integrated Care department offers healthy eating classes year round. For more information about OCH’s Integrated Care department, or any other services, visit http://www.ochonline.com. As the holiday season approaches, people often reflect on their childhood experiences and family traditions. They become mindful of how things used to be. When someone experiences a loss of a loved one, celebrations, decorations and holiday traditions are often triggers that can make people more aware of how things used to be and how they have changed. OCH Health System’s, Brad Powers, PsyD, gives us some helpful hints on how to cope with grief during this holiday season. Decorate to remember – Set up an area in your home. It can be the dinner table or the mantel; either way, make a special area to celebrate and remember the lost family member. Talk about them – You can celebrate your loved one by recognizing or talking about them openly to each other. Take time to remember them – Take a moment to remember your loved one. Individually, or as a group, be sure to take some time to remember and celebrate the memory of your loved one. Write a letter – Write a letter to your loved one and seal it. When you feel it is an appropriate time, open it and read it out loud to yourself. Light a candle – You can light a candle at the start of the holidays. This candle can be a physical representation and a way to honor and remember your loved one. Special mementos – Hang a special ornament on your Christmas tree or bring out a special photo of them. Be Mindful – Be mindful of the loss and experience the process of grieving. Brad Powers, PsyD, is a clinical psychologist with the OCH Medical Offices Clinic in Springfield, Mo. With more than 28 years’ experience, Dr. Powers can see adult patients and specializes in mood, anxiety and PTSD disorders. Additionally he holds a certificate in Primary and Behavioral Health Care Psychology. He can provide psychological assessments related to a variety of referral needs. To schedule an appointment with Dr. Powers, contact the OCH Medical Offices Clinic at 417-875-4682. Does my child have croup or a cold? You wake up in the middle of the night, to the sound of your child “barking” from across the room. Is it serious, or is it just a cold? Before fall is in full swing, find the facts on croup from OCH’s Nishua Bendt, DO. What is croup? Croup is typically a viral illness that affects children, especially those under 3 years of age. Croup is an inflammation of the upper airway (from the mouth to throat and the wind pipe), along with the voice box (larynx). It tends to be seasonal, affecting children more often in the fall and spring months. Symptoms of croup? This inflammation causes irritation, runny nose, congestion and the famous “barky cough.” Children may have a wide range of symptoms from mild with no fever, a little runny nose/cough to severe that can cause problems with breathing and swallowing. Children may also be clingy as well as hoarse. How is croup spread? Croup is spread by droplets such as coughing, sneezing and via dirty hands. Croup is not 100% avoidable; however, if you kids wash their hands often, cough into sleeve/elbow/or tissues and avoid others who are sick, they can significantly reduce possible exposure. How long does croup last? Croup can last several days (5-10) and may reoccur through the winter season. Consult a healthcare provider any time you have questions, or if you child develops a high fever, decreases drinking or has fewer wet diapers than normal, if symptoms change to one specific area of concern, or if your child is experiencing problems with breathing that a home treatment isn’t helping. Treatment for croup? Viruses aren’t fixed with antibiotics. Treating the congestion, fever and sore throat keeps kids calm and relaxed so they stress their vocal cords less. Symptoms tend to be more severe at night and children may seem much sicker than they really are. Going from a steamy shower to cool night air may improve symptoms and using a cool mist vaporizer may help also. 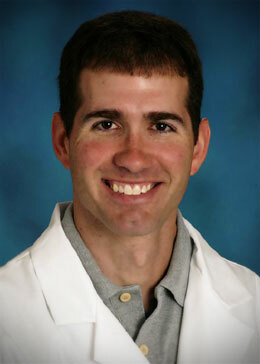 Nishua Bendt, DO is a board certified physician at the OCH Webster County Clinic in Rogersville, Mo. With more than 10 years’ experience in family medicine, Dr. Bendt can see patients of all ages from infants to adults. In addition to preventative care and well woman checks, Dr. Bendt can offer some procedures in office including examining skin conditions, freezing warts, suturing, and removing abscesses and ingrown toenails. To schedule an appointment with Dr. Bendt, contact the OCH Webster County Clinic at 417-753-9404. Torti-What?! The facts about Torticollis. You or your pediatrician may have noticed your baby always looking one direction. You may have heard someone say your baby has a wry-neck. Find out more information on Torticollis from OCH Pediatric Physical Therapist, Lexi Sneed, before it becomes a major issue. What is Torticollis? Torticolis (Congential Muscular Torticollis) is a condition in which the infant keeps his or her head turned one direction and may also have a tilted head. Most often the child will be looking to the right and the head will be seen tilted to the left. The tilt is caused by a tightening and shortening of the sternocleidomastoid muscle, a thick muscle which runs from behind the ear down to between the collar bones. How did my child get this? The cause of torticollis can be unknown, or it could be related to how the baby was positioned while in the uterus. For example the baby could have been in a breech position or “crowded” while developing. It could also be a result of the baby spending too much time on his or her back; whether in a crib, car seat, swing or on the floor. Tummy time is very important! What is Plagiocephaly? Plagiocephaly (play-jee-oh-sef-uh-lee) is also called “flat head syndrome” and is often associated with torticollis. Because a baby’s skull is very soft an infant who wants to always look one direction causes increased pressure on the tissue and bones of that side of the head. How can it be fixed? We can help!!! The Pediatric Physical Therapists here at OCH are available to assess your child’s needs. As Physical Therapists, we are trained to assist in stretching and moving your child’s body to correct the muscle differences. We can provide regular visits to help your child along with providing parents stretching exercises to do at home between therapy visits. How can parents help? Seeking the help of an experienced Physical Therapist is without a doubt one of the best ways to help your child overcome torticollis. At OCH, we have experienced therapists who can treat this condition. A great way to help your child at home is to make sure they have plenty of tummy time. Lexi Sneed is a pediatric physical therapist at the OCH Evergreen Clinic in Springfield, Mo. Lexi works with children and their families to assist each child in reaching their maximum potential to function independently. To schedule an appointment with Lexi or any of the physical therapists at the OCH Evergreen Clinic, call 417-823-2900, or the OCH Christian County Clinic at 417-724-3004.